Synopsis: Brigantine New Jersey is home to private investigator Anthony Imperiale. He is a man trying to balance three things in his life: an addiction to the game of golf, a love for his demanding and irascible father, and being a tough guy for a living. He accepts a well paying case investigating threats to a prominent Atlantic City casino owner and his daughter. It seems routine until corpses, deceptions, the FBI, the New Jersey State Police, local gangsters, and quirky friends start to appear. Against his better judgment, Anthony is drawn to the beautiful, intelligent and secretive daughter of the casino owner, heir to the very empire he is hired to investigate. With his investigative talents stretched to their limits, Anthony finds himself in situations that are sometimes dangerous, occasionally humorous, often surprising but never dull. About the Author&colon; Joseph A. Sabatino is employed in the entertainment industry in Manhattan. He lives with his wife Barbara in Burlington, New Jersey. 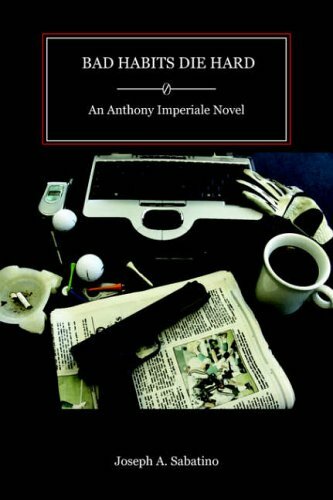 He is currently working on his second Anthony Imperiale novel.